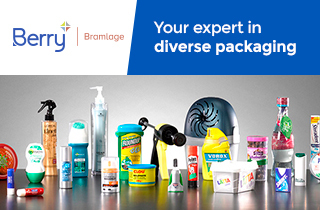 We develop, source and fill an extensive variety of packaging types to suit the product, functionality, brand design and consumer needs. Laleham Health & Beauty is a leading UK based, contract manufacturer for global health and beauty products. It is one of the key divisions of DCC Health and Beauty Solutions Ltd, which in turn is one of the Europe’s leading outsourced serviced providers to the health and beauty sector. Laleham has over forty years’ experience in supporting health and beauty brands, producing globally recognised products. With operational excellence in both our philosophy and our policies, we employ 500 employees across two sites, providing a full service development and fill operation. We also have in-house specialist licenced and accredited manufacturing and warehousing facilities. Our main area of expertise lies in the nutrition, beauty and healthcare sectors. Specifically we lead the way in product development, manufacturing and packing for health and beauty brand owners. We pride ourselves with working with brand owners to manufacture bespoke and challenging products. Our manufacturing capabilities are supported by our specialist, client-facing New Product Development team. This team exist purely to deliver innovation to our client partners. The key operational areas of Laleham Health & Beauty lie principally in beauty products, medical devices, nutrition and pharmaceuticals. We specialise in bespoke formulation and innovative product manufacture for brands owners across premium or FMCG markets. Importantly, Laleham Health & Beauty is accredited, approved and regulated by key industry bodies. These include the MHRA manufacturers licence for both Human and Veterinary products and the BRC Global Standard for Consumer Products and ISO 9001:2008. For our global partners we are FDA registered and inspected for OTC products. We are also ISO 13485 Medical Device development and supply-certified. Laleham are proud members of both the British Safety Council and RoSPA.